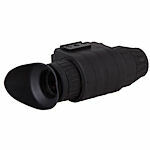 Pulsar night vision monoculars are manufactured with the most demanding users in mind. Built on a mil-spec platform, Pulsar provides advanced night vision products for military, law enforcement & consumer applications. Pulsar strives to provide consumers with the latest innovations in technology with the highest quality. 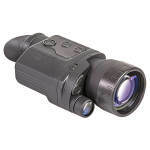 Pulsar Challenger night vision monoculars are available in generation 1+, 2+, and 3 starlight technologies. Some have 1x magnification, and others offer magnification up to 4.5x. 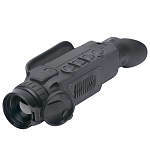 Pulsar Helion Thermal Monoculars all have 640x480 screen resolution. They come in 22, 32, and 42mm objective sizes. The XQ models have wider angle lenses for better coverage, while the XP models have higher magnification and larger sensors for longer distance detection.